Take a ride on a complimentary airport shuttle to Residence Inn Allentown Bethlehem/Lehigh Valley Airport, our extended-stay hotel in picturesque Pennsylvania. Whether in town for a corporate assignment or in need of temporary housing, make yourself at home in our spacious suites with separate areas for living, working, dining and dreaming. Equipped with full kitchens and complimentary high-speed Wi-Fi, our modernly appointed accommodations were designed to cater to the needs of modern travelers. Start your day right at our complimentary breakfast buffet, then return on select evenings for free cocktails and light fare while mingling with other guests during The Residence Inn Mix. When downtime arises, take advantage of our outdoor swimming pool, work up a sweat in our state-of-the-art fitness center, or begin a game of basketball or tennis on our signature Sport Court. 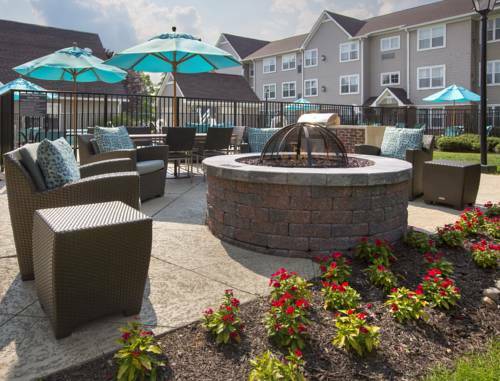 Book your stay today and discover the best of Bethlehem, PA from Residence Inn Allentown Bethlehem/Lehigh Valley Airport.